Hiring a Virtual Assistant (VA) is making an investment in your business and your business’ future. While the process may seem a bit scary, when you find the right VA for you, he or she will be able to help you manage your to-do lists and help you grow your business. But what do you need to know before hiring a VA? Your 3-6 month goals for your blog or business. You aren’t going to be able to successfully grow your blog or business until you know where you want your blog or business to go. Specifying your 3-6 month goals before you begin your search will help you narrow your focus. Sharing your goals with your new VA will make sure you and your VA are on the same page when you start working together. What makes you the most money? What brings in the most traffic? There’s a business adage that says that about 20 percent of your customers produce 80 percent of your sales. This same principle can be applied to your blog or business. It’s likely that most of your revenue or traffic comes from only 20% of what you do or produce. Determining what those tasks are will help you determine what you, as the blog or business owner, should be focusing on each day. The tasks that you are doing instead of those goal-reaching tasks. What do you spend the majority of your time doing each day? What tasks are you doing now that your VA can and should take over for you? If 80% of your income comes from 20% of your tasks, then there is quite a bit of work that you are doing that is not making you money, or bringing in traffic, or helping you reach your goals. These are the tasks that you should start delegating to your VA. 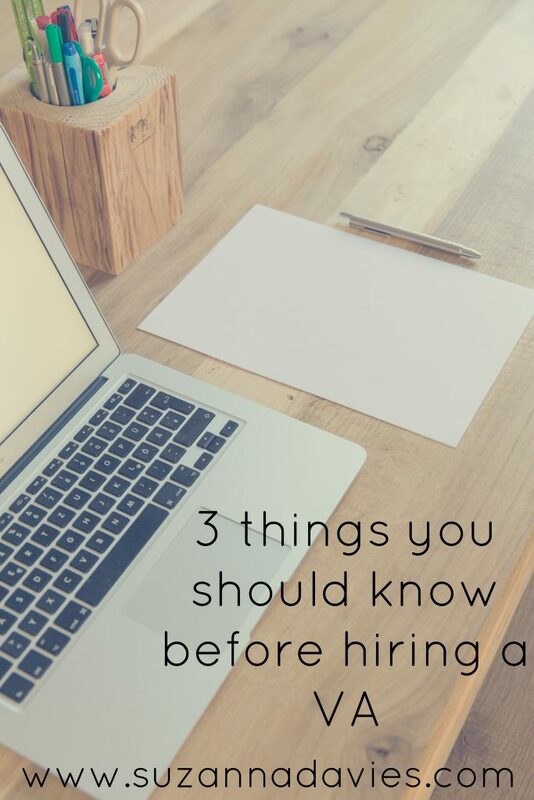 Taking the time to consider these three things will give you a better picture of what kind of VA you should be looking for and where your VA will be able to help you. Once you know the tasks that you should be delegating, you will know what specialties you will want your VA have and where you will want his or her strengths to lie.